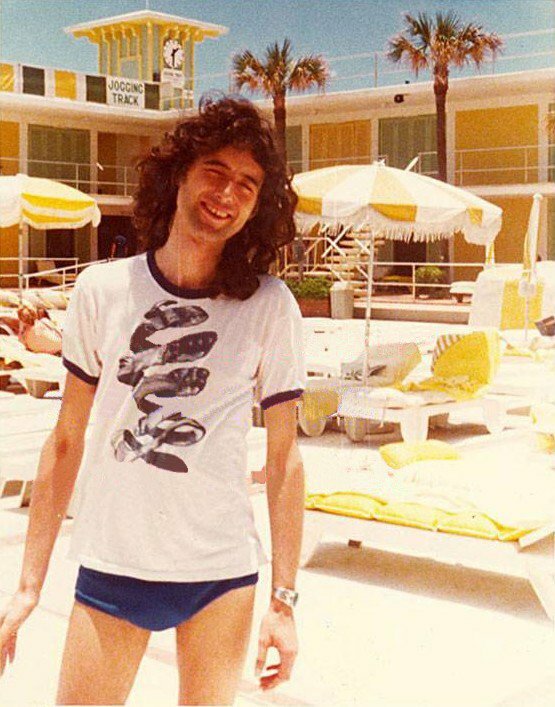 Check out these awesome photos of Mick Jagger, Jimmy Page, Paul McCartney and Jim Morrison having some fun in the sun. 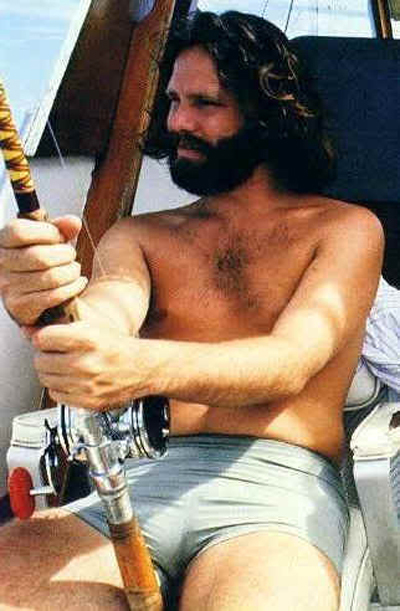 The Jim Morrison photo is awesome!!! 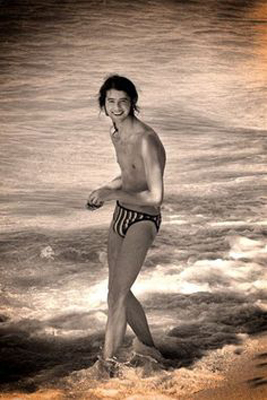 keith richards' book has a picture of he and mick jagger boating, as well as he and brian jones at a hotel pool. I'd vote for Paul! 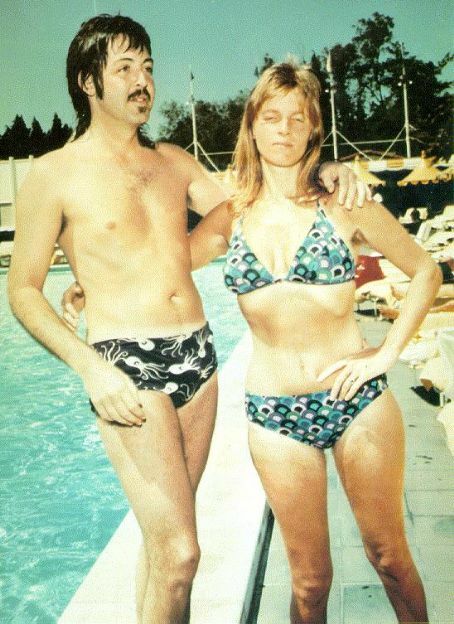 He has a naturally nice looking body, and a bonus point for having Linda in that photo :-).